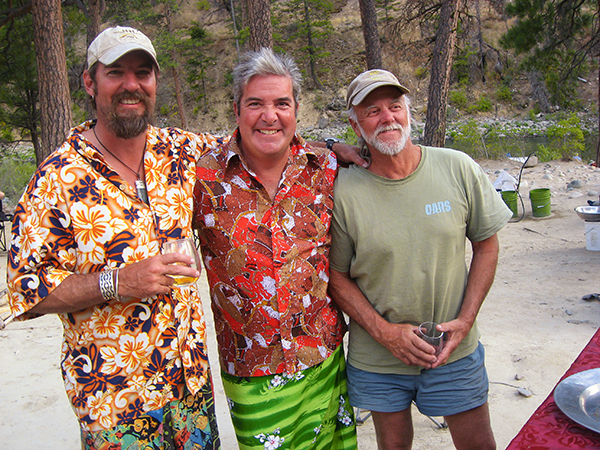 Matt Hatcher, owner and winemaker at Hatcher Winery in Murphys, California will present his carefully selected award winning Sierra foothill wines on this Tuolumne wine tasting adventure. Enjoy his powerful, yet balanced, red wines, and white wines with classic aromas, rich textures and lingering flavors of French oak. 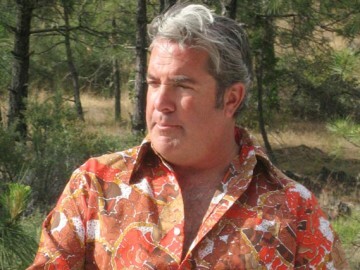 Matt has been a regular on our wine trips for a number of years and is always eager to share his knowledge of wine with eager guests on this Tuolumne wine tasting adventure. 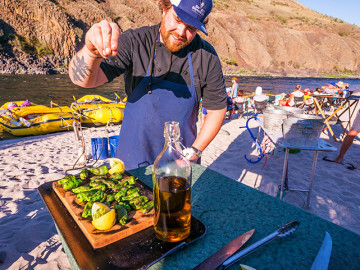 Enjoy dinner by candlelight on the banks of a wild river (complete with tables draped in linens), with mouth-watering regional fare prepared by a renowned local chef. 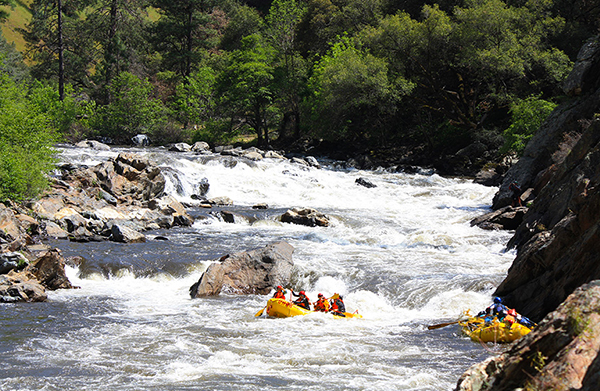 The Tuolumne River is considered by many to be the best whitewater rafting trip in California. 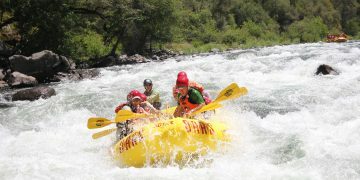 Its pristine headwaters originate in Yosemite National Park, then surge through eighteen miles of non-stop, Class IV+ rapids. 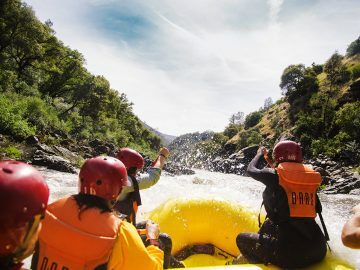 This incredible whitewater adventure includes intricate boulder gardens, rushing cascades and churning holes, which all combine for action-packed paddling from put-in to take-out. 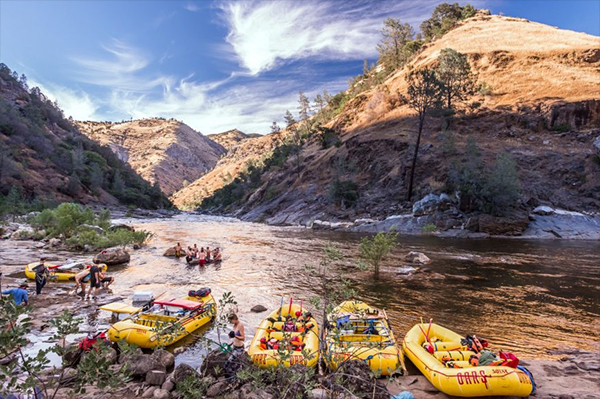 The Wild & Scenic Tuolumne River flows through a remote, beautiful wilderness canyon in the Sierra Nevada Foothills of Northern California. The steep hills are lush green and scatter with California poppies, lupine and other native wildflowers in the spring. Later in the summer, rich golden hues of sun-kissed native grasses surround the area along with oak and pine forests flanked by rocky terraces and sandy beaches. Tumbling creeks and glassy pools adorn the river corridor and its side canyons, creating the perfect outdoor experience for rafting, hiking, fishing and swimming.